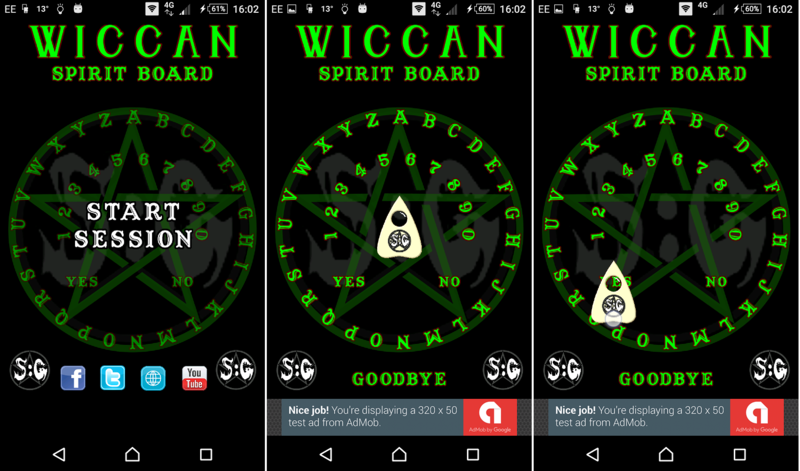 I have developed this Spirit Board to replicate a physical Spirit Board (sometimes known as a Ouija Board or Yes No Board). Simply place your finger on the planchette and start to ask questions, if the planchette moves then you could be talking to a spirit. If nothing happens, please don't give up, keep trying!! Don't forget to move to "Goodbye" when you have finished.